Congratulations!! You found the perfect home!! Is it? Is there mold? Could the HVAC be on its last legs? What about the foundation? Roof leaks? No home is perfect, not even new construction. To make sure that your new home is NOT a money pit, you need a professional home inspection to verify that the major systems are in good working order. Over the past couple of months, Kelly and I have had several questions from both buyers and sellers regarding the home inspection process. What is inspected? If the inspector finds something, what next? How to negotiate the repair request? Do we ask the seller to fix it? Who fixes it? 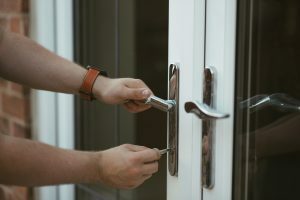 These are just some of the questions that we are asked and this article will highlight some of the ins and outs of the home inspection process. Before we talk about how to handle a repair request, let’s first talk about the home inspection. What is a home inspection? A home inspection is an evaluation of the visible and accessible systems and components of a home; e.g. plumbing, roof, HVAC, and is intended to give the client an understanding of their condition. Once the home inspection has been completed, the inspector will provide a detailed report of his/her findings. The report can be a few pages to many pages, depending on the number of items. As a home buyer, you may be tempted to ask your agent to send the entire report to the home seller with a giant stamp on the front that says. My Buyer Wanted Everything Fixed!!! While it may be tempting to request that everything on the repair report to be fixed, so that your new home can be as perfect as possible when you move in, that’s just not realistic. We recently listed an older home in an established neighborhood east of Raleigh. The home was reasonably maintained and updated. The buyers’ agent provided us with a ten-page, single-spaced list of repair items that his client was requesting! Replace all of the electrical faceplates…yup. Broken latch to the crawl space…that one was in there, also. Burnt out lightbulb in the master bath vanity…That one was there too!!! Many of the items were under $10.00 per item! Leaking pipes in the basement, crawlspace or in the living area. Damaged or broken roof shingles. 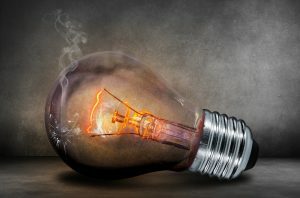 Major electrical defects that cause safety issues. Significant plumbing problems that interfere with the use of the home. Leaking water from the roof. Elevated Radon levels above EPA suggested levels. The above items are a condensed list of possible issues worth asking a seller to address. There certainly could be others but these are without question reasonable repair requests that any buyer would have. Depending on the mortgage loan program; e.g. FHA, VA, etc. your mortgage lender may require that certain repairs be completed for your loan request to be approved. This is an important consideration when requesting repairs. Depending on a number of factors; e.g. extent of repair, timing needed to make the repair, etc. you may request that the seller complete the repair prior to closing and/or you may request a credit from the seller for the repair. Since the seller has no vested interest in the home once it is sold, they may not hire the most qualified contractor, or the contractor may not complete in the most workmanlike manner. By requesting a credit, you have the ability to select your preferred contractor and to confirm that the work is completed satisfactorily. Before asking for a cash credit, your agent should check with your lender to determine if a cash credit is allowed and the amount that is allowed. How About a Home Warranty? Offering a home warranty may be acceptable to both parties in a situation where a system; e.g. HVAC, appliances, etc. may require repair or replacement in the future. Home warranties cover major defects for a year and provide a buyer with peace of mind. One caution, a home warranty will not cover a system that is broken prior to closing. I often tell my buyers and my sellers that negotiating repairs is the 2nd round of negotiation in the home selling process. The first, obviously, is the negotiation of the initial offer. The home inspection should be a give and take between the buyer and seller. It should have a reasonable conclusion where both parties are satisfied with the results. nothing to do with you. Our seller that received the ten-page, single-spaced repair request went ballistic!! We did close, but the entire tone of the transaction changed from then on. When working with sellers we often explain to them that a test to determine if a repair request is reasonable is whether or not another buyer coming along would have the same inspection concerns. If the answer is YES then the owner should fix what the buyer is requesting. Sellers will often ask should I get a pre-listing home inspection? If you have an older home and know you have some defects needing attention, it might be worth the money! Anytime you can prevent a home inspection from causing your sale to go down the tubes is a good thing. 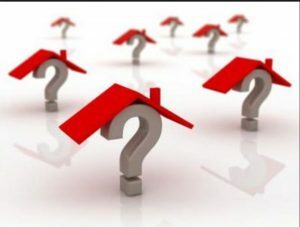 Author StevePosted on March 27, 2019 March 27, 2019 Categories Getting Smarter on Real EstateTags apex nc real estate, apex nc realtor, cary nc real estate, cary north carolina, home inspection, money pit, new home construction, raleigh nc, raleigh real estate, raleigh realtorLeave a comment on What is a Home Inspection? Happy New Year! With the New Year, it is time to dust off the old year and make plans for the coming year. Maybe you want to exercise more, read more or spend more time with friends and family? Thinking about selling your home this year or in the future? Regardless of the season or market conditions, remember that you only have one chance to make a first impression. Make your home memorable to potential buyers. Before listing your home, commit to these quick Home Seller New Year’s Resolutions to help ensure the quickest sale for the highest price. 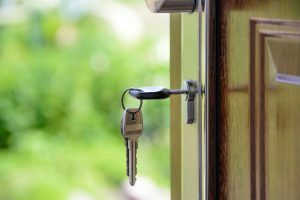 Do you truly want to sell your home? This is not the time to “see what happens” or “I’ll list it to see if it sells.” This wastes your time and the time of potential buyers and agents. The 2019 housing market here in the Triangle is likely to become harder for home sellers. Buyer demand has slowed and there is lots of competition, especially from new home communities. Once you commit to selling your home, go all the way. Remember, you only get one chance to make a first impression and most home buyers decide whether or not to schedule a showing in the first 10 seconds while viewing pictures online! Selling your home is a BIG deal and it takes lots of planning. 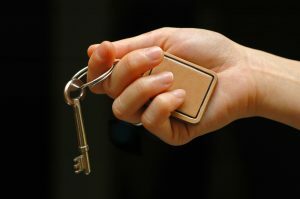 You need a team of experts including; real estate agent, contractors to assist with possible home repairs, movers, etc. This is especially true if you are planning to buy a home at the same time. Resolution: Plan Ahead! Contact a real estate professional early on to discuss your options and to commit to selling your home! Stained carpet in the bonus room? Leaky faucet in the kid’s bathroom? Wallpaper in the living room? Today’s buyers are, for the most part, looking for move-in ready homes. They do not want to dedicate all of their free time and funds to work on the house they live in. All of those deferred maintenance projects should be addressed. They will come up on the buyers home inspection. Also, if your house is still living in the 1980s, it might be time for an upgrade. There are many simple fixes; e.g. updated paint, lighting, and fixtures that will make your home more attractive to potential buyers. Resolution: Repair any deferred maintenance items and bring you home into 2019. Boxes piled high in the garage? Can’t see the floor in the bonus room? Afraid to open the hall closet door? A cluttered house can suggest a lack of space, which can impact offers. Potential buyers want to envision their furniture in your home. Depending on lifestyle and length of time in the home, cleaning out the clutter can be a BIG project. Take it step by step, room by room! Be honest about what you need, want and what you can live without. The bonus? You won’t have to pack, move and clutter your new home with stuff you don’t want. Lastly, when it’s time to list your home, stage it to show in the best possible light. Your real estate agent may offer home staging as part of their suite of services to take your home to the next level. Resolution: Get rid of unwanted items in closets, the garage, and other rooms. Whether you are thinking about buying a home, selling a home or both in 2019, now is the time to commit to your resolutions. By starting now, 2019 may be the year that you find your self in a new home! If buying or selling a home is a goal for you next year, please don’t hesitate to contact us. Whatever your plans are for 2019, we hope you have a very happy and prosperous New Year! We can be reached via email at inquiries@logpondrealty.com or by phone at 919.589.3576. The holidays are here and now is a perfect time to come together with friends and family to celebrate the magic of the season. The Triangle area is aglow with light displays, tree lightings, and other seasonal presentations. Here are some of the happenings in December. Downtown Apex will be transformed into a winter wonderland to ring in the Christmas season to Apex. On Friday night, November 30th, the festivities include the official annual Apex Christmas tree lighting, caroling, and sleigh rides. Of course, Santa and Mrs. Claus will be on hand to greet the children. 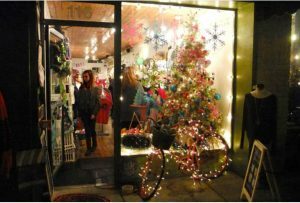 There will be merrymaking all up and down Salem Street, the stores will be packed with goodies and gifts that will make for a wonderful magical Christmas in Apex. This is all part of the reason Apex is the Peak of Good Living. On Saturday night, December 1st, the annual Christmas parade will be held at 5:00pm. 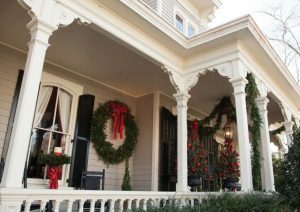 On Sunday, December 2nd, the Apex Historical Society will once again offer historic homes tours. 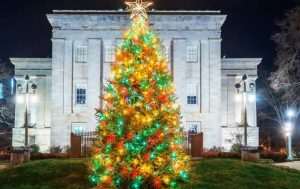 Downtown Raleigh comes aglow for the annual Downtown Raleigh Tree Lighting Celebration at the Duke Energy Center for the Performing Arts. Enjoy some tasty snacks and beverages from local vendors, holiday music and the opportunity to meet Santa Claus as he walks around the crowd meeting and greeting everyone (bring your cameras!). The State Capital Tree Lighting Ceremony is the official kickoff of the holiday season. Join state dignitaries and local choral groups for seasonal songs and a joyous celebration. After the lighting of the tree, stick around to tour the inside of the Capitol, covered in wreaths and draped in garland. 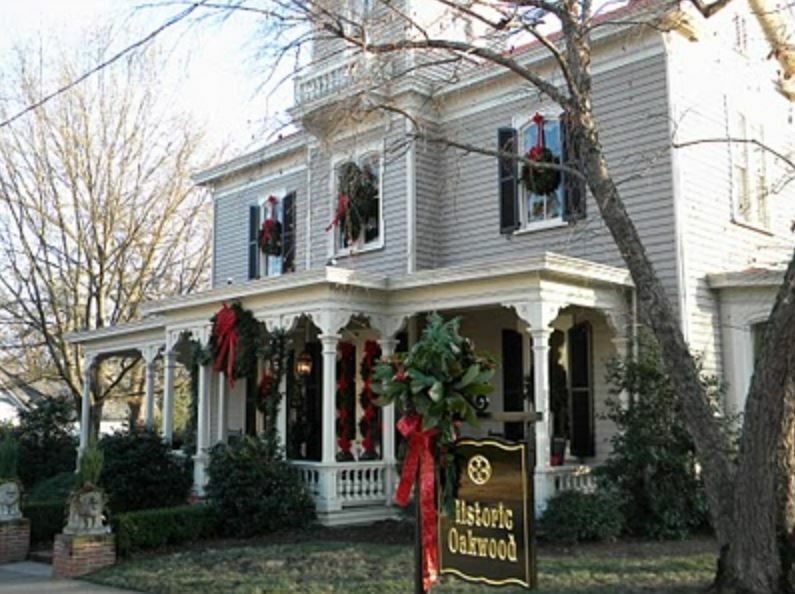 Historic Oakwood, a community of homes, many of which are dated to the mid-1800s to early 1900s, has its own small town feel. Elegantly decorated for the holidays, you can step inside about a dozen private homes, staffed with docents who tell the rich history of this Century Victorian neighborhood. The Koka Booth Amphitheatre in Cary will once again be transformed into a magnificent setting when the North Carolina Chinese Lantern Festival returns this holiday season! 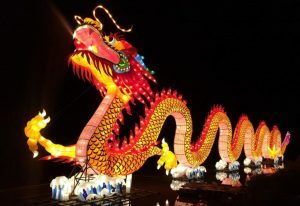 The Festival will include more than 20 lighted displays including the spectacular Chinese Dragon on Symphony Lake. This year’s festival will include the addition of cultural performances and artisan crafts. Performances will include traditional Chinese dance, foot juggling and vase juggling, and Wushu/Kung Fu. 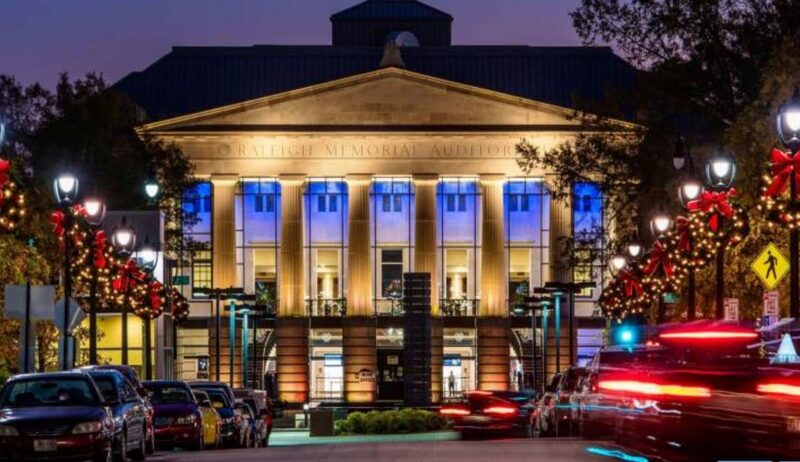 If you are looking for some indoor events and are looking ahead to the Christmas season, there are a number of holiday performances in and around the Triangle. From ballet to musicals there are plenty of performances to get you in the holiday spirit. Home is where your story begins. A home is where hopes and dreams are born, memories are made, and lives are lived. We would love the opportunity to assist you in writing your new story. Halloween has come and gone & Thanksgiving is right around the corner. Yup, the BIG holiday, Christmas is approaching also. If you are thinking that your fall fun is over, THINK again! There are lots of great activities in an around the Triangle to enjoy! In fact, November is a great time around the Triangle area! Days are generally pretty warm, ranging in the 60’s to 70’s. Night time temperatures range from the 40’s to 50’s. So, grab a jacket and enjoy all that the Triangle has to offer. Here are some great ideas in and around the area. This is the 74th year for the Raleigh Christmas Parade. The Raleigh Christmas parade is the largest Christmas parade between Washington, D.C. and Atlanta. Over 250,000 will watch the parade live from home and over 60,000 will attend the parade in person. The parade will last approximately 2.5 hours and will feature something for the whole family. The ACC football action heats up as all three local teams are in action including the traditional Duke versus UNC match on Saturday, November 10th and the Wolfpack take on the Tar Heels on Saturday, November 24th. If the pigskin isn’t your thing, there are several opportunities to check out some football action with a round ball. 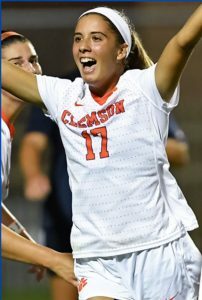 The ACC Women’s Soccer Championship will be played at the Wake Med Soccer Park in Cary from November 2nd to the 4th. The ACC Men’s Soccer Championship will also be played at the Wake Med Soccer Park from November the 9th to the 11th. Check out the ACC website for game times. Triangle Parade of Homes Kicks Off this Weekend!! You couldn’t tell by the weather that it is the beginning of October! Tomorrow kicks of Triangle Parade of Homes sponsored by the Home Builder Association of Wake County. The Parade of Homes is an annual, free tour that is open to the public and is the best way to view the newest homes and the newest communities throughout the Triangle. The 2018 Parade of Homes will be held on October 6-7, 12-14, 19-21. If you are thinking about building a new home, this is a great opportunity to check out the latest styles and new home communities across the Triangle. Each week, we will be featuring a new home community. This week, we are at Bailey Hill in North Raleigh by Drees Homes. Kelly and I just closed on a new in this community and this home is wonderful! This home is an entertainers dream with an open floor plan, gourmet kitchen, floor to ceiling fireplace and massive full basement. The homebuying market is tough! As a homebuyer, the last thing you want to do is to sabotage your home purchase. There are several simple things that you can do to avoid homebuyer sabotage. Follow these simple steps and you will be calling that house your home in no time. The home buying market is tough! No question. The last several years have been tough for homebuyers. Low inventory, high demand, rising prices, and tighter lending rules have all contributed to this market. As a homebuyer, what can you do? We work have worked with many homebuyers; from first-time home buyers to people looking step down, step up or buy their retirement retreat. 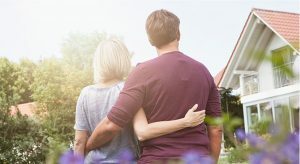 Even before we begin to look at houses, we spend some time getting to know our homebuyer and talking to them about the ins and outs of the local market. We also talk quite a bit about the home buying process. Even for many experienced homebuyers, the process today can be quite different from the process just a few years ago. Our goal is to make the process as smooth as possible for our clients. One of the things that we talk about our ways not to sabotage your own home purchase. A few weeks ago, I highlighted three ways that a homebuyer can sabotage their home purchase. This week, we introduce three additional ways. To recap, here are 6 ways that you as a homebuyer can avoid sabotaging your home purchase. 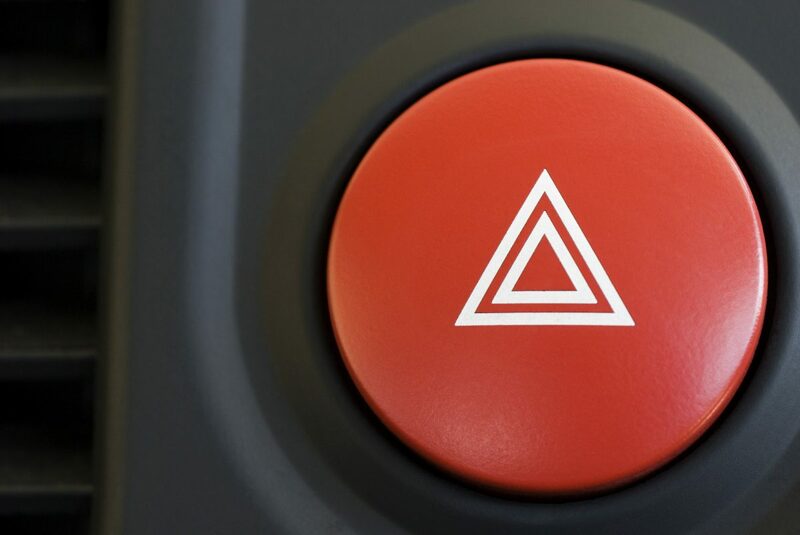 Stay Pre-Approved: NO new lines of credit, minimum credit card usage, no late payments. Don’t Dilly Dally: If you fall in love with a house, you will need to make an offer QUICKLY. 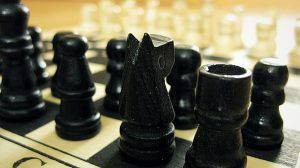 Not Placing Your Best Offer the First Time: The risk with a low offer is that you will not only sabotage your chances of negotiating with the seller but your offer might simply be rejected outright, without a counter, or even ignored. Asking Too Much from the Seller: Be careful about how much you ask for because a seller will weigh all the pros and cons, especially in a multiple offer situation, and not necessarily accept the one that was for the most money. 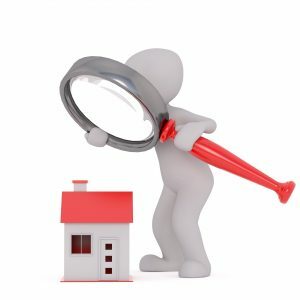 Nit-Picking the Home Inspection: Focus on the important repairs! Having Pre-Mature Buyers’ Remorse: Once your offer has been accepted, the appraisal is done, the inspection is done, and everything is hunky-dory – STOP home-shopping! Home is where your story begins. A home is where hopes and dreams are born, memories are made, and lives are lived. We would love the opportunity to assist you with assisting you to write your new story. Over the last several months, Kelly and I have worked with a number of first-time homebuyers. Being a first-time homebuyer can be tough. Affordability is at an all-time low for starter homes, and it’s making things tough for prospective first-time homebuyers to cross over from renting to owning. Demand for starter homes, pushed by increases in rental rates has pushed buyer demand for starter homes. A recent news story from Bloomberg noted that starter homes prices have past pre-recession levels and the typical first-time homebuyer needs nearly 23% of their income to afford the typical entry-level home, according to data from the National Association of Realtors. 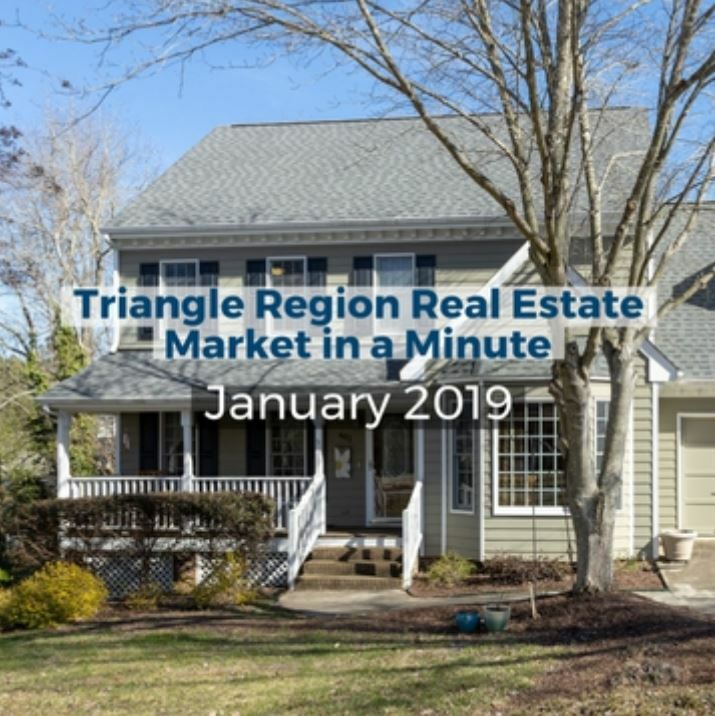 Across the Triangle area, there are a number of older neighborhoods featuring smaller, lower-priced homes that highly sought after by first time home buyers. A few months ago, a client of mine called me about a small ranch home in a highly desirable area of Cary. The home had been recently renovated and had many features sought by my client. When we arrived at the home on a Saturday morning, there was a long line of real estate agents and their clients seeking to tour the home. Ultimately, my client decided not to place an offer on that home but did find a great home in an adjacent neighborhood. This market requires patience! Lots of patience and an understanding of the market. One of the things that Kelly and I do with all of our buyers is schedule a face-to-face meeting with all of our buyers before looking at a single property. Our aim is to understand what is really important to our client. Our second aim is to educate our clients about the market. A huge part of our role is educating clients about the reality of this market. 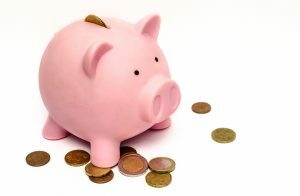 Once we have met with the client, we will ask them to meet with a local lender. 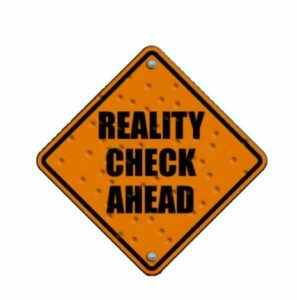 Reality check time! One of our biggest tips is for our clients to meet with a lender and get pre-qualified before looking at houses. It’s important for a first-time homebuyer, in fact, any buyer to have an understanding of what they can afford before looking at houses. Last year, I had a young couple call me about a new listing in downtown Apex. Downtown Apex is a very hot area. Demand is very strong and prices have rapidly increased over the past many months. My clients had been to several open houses and had fallen in love with a beautiful neighborhood close to downtown. Unfortunately, they did not qualify for their desired neighborhood. Luckily, my clients found a great home in Fuquay-Varina that didn’t offer the central location they were looking for but did offer many of the home features that they desired. 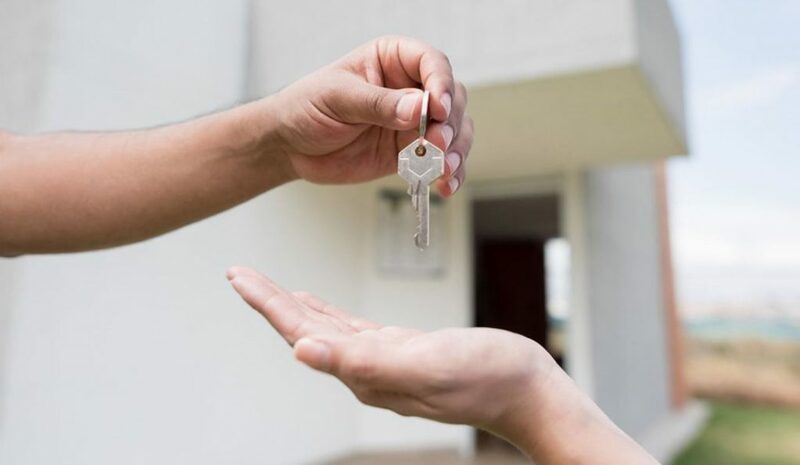 It is important to remember that you may not be able to get everything you want in your first home and it is important to have realistic expectations. 1) Get Pre-Approved: As mentioned above, get pre-approved before looking at homes. Sellers typically won’t accept your offer unless it’s all cash or you have a lender’s letter saying you can get the financing you need to close the deal. 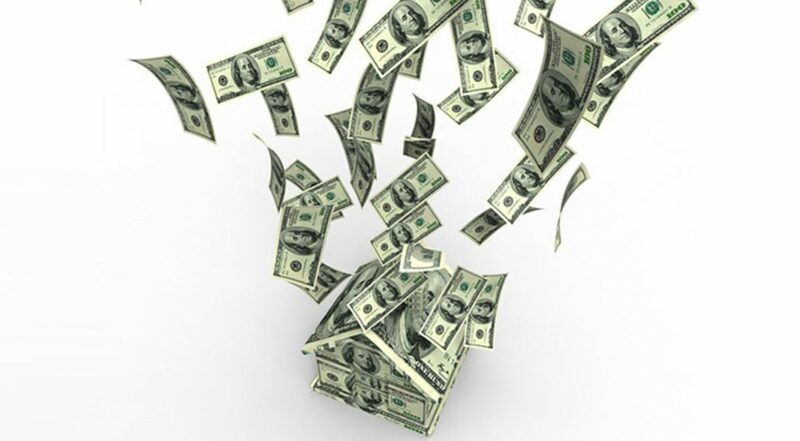 Consequently, being pre-approved for a loan is crucial. 2) Prioritize Your Preferences: Make a list of what’s important to you and your family, whether it is location, condition, price or certain amenities, and be prepared to make sacrifices. 5) Act Fast: If a house is listed Monday, don’t wait until Saturday to see it. 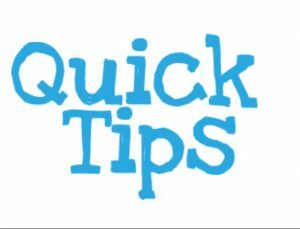 6) Get Educated: Being well-informed about the local housing market — including knowing the prices of recently sold homes, taxes, the school district, etc. — can give you an advantage over experienced buyers who are out of touch with the trends. We service the Triangle region of North Carolina including Raleigh, Cary, Apex, Holly Springs, Morrisville, Fuquay-Varina, Durham, Chapel Hill, Wake Forest and Garner. Congratulations! You have just been pre-qualified with a lender and you are now a home buyer! Here are a couple of quick tips on how NOT to sabotage your home purchase!